The following article was originally published by Broadway World, on March 5, 2018. In a recent interview, renowned master photographer, writer, influencer and graphic designer Thomas Slatin discusses his role in an upcoming dance and music based TV series, directed by TV /Film professional, journalist and animal advocate, Lisa Pellegrene. 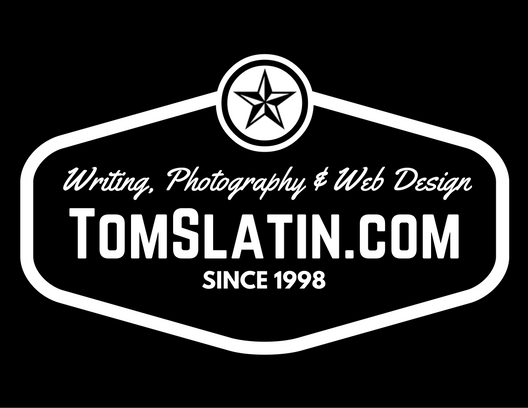 Thomas Slatin has worked decades as a master photographer, typically photographing previously abandoned places throughout the United States, and has had his share of videography experience off the record relating to further capturing some of his planned photography shoots, as well as family videos. This spring he will be an integral part of a forthcoming TV production entitled Peace, Love, Unity TV Dance Troupe. Slatin is attached to the project as one of the cinematographers and as the lead still photographer. The project can be found on IMDb.com via this link. The project was conceptualized by Lisa J. Pellegrene, after years in the entertainment industry as talent, and production, this is her directorial debut. According to Pellegrene, she choose Thomas Slatin as the lead still photographer and one of several cinematographers attached to the project “due to his innate talent and years as a photographer where he truly breathes life into the images he photographs.” She continued to state, “he truly is an obvious choice as he consistently captures otherwise abandoned locations beautifully, so imagine the level of enthusiasm and attention to detail and immense skill he is capable of bringing through his photography, relating to this energetic and uplifting production. He has decades of expertise mastering the art of photography,” concludes Pellegrene. Thomas Slatin discussed the camera he will utilize for still photography, “I will be using a Canon 5D Mark IV camera. This camera has an outstanding full frame at 30.4 megapixels. It is the perfect choice for immersive photography because it is relatively compact and does not seem to draw a lot of attention.” Black and white and color photography will be utilized for the production. The initial episode entitled “Dancing in the Streets” will feature as many as 300-400 dancers, dancing in the streets, inspiring music artists and a live audience. The public is invited to watch the production and perhaps “become a part of it,” as summarized by Pellegrene.